Imagine That Events specializes in Weddings, Quinceañeras, Anniversaries, Birthdays, Holiday Parties, Corporate Events, and Celebration Of Life events. 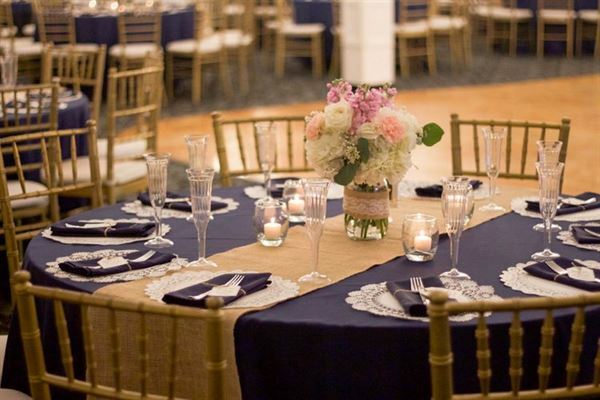 Our packages include catering, tables, chairs, linens, china, silverware, glassware, and so much more. Our professional staff is there to help coordinate your event. I went to a friends wedding 2 weeks ago here. It was a very nice small venue. If someone is looking to have a small venue with close family and friends this is the place to go. They offer waiters that serve you and pic up dirt plates.. They can offer live music if you wish. All the walls have mirrors, It has a nice size dance floor with very nice restrooms and the carpet looks clean. They have a two types of things you can do for food.. Either have them serve it to you or they have like a buffet for the kids with chicken strips and fries. They also have a good PA system and a small stage for entertainment. If i werent already married i would definitely book this venue simply because its small and private and personal. When it came time to plan my brother's wedding, I was thrilled that they asked me to handle the planning duties. We sat down and discussed what they wanted, and they really weren't sure where to begin. I suggested that we start by looking at some reception locations, and one of the facilities that we looked at was called Imagine That! After a look at a few other facilities we found that Imagine That! would be the best location because they had a helpful staff, many different banquet rooms with sizes and themes that we could choose from to suit our specific needs, and prices that were more than fair for all that they offered. When we went back to talk to them, we discovered that the room that we had wanted to book for the 150 guest reception was already booked for the weekend of the wedding. Instead of trying to charge us more, they offered us a bigger room, which is usually for a minimum of 300 guests, for the same price. We were worried about it seeming overwhelming but they assured us that they would stage the tables with a little more room around them and ensure that the room still looked full and lively. The food selection and choices for all of the other options such as chairs, linens, tables, etc. was all more of the same helpful guidance. They were patient as the bride and groom were very slow to choose what they wanted to offer their guests because they had some picky guests attending. The staff was amazingly gracious and patient in the weeks before the wedding, and they met with us the afternoon before so that we could map out everything to ensure that the band and DJ both had their own locations and that there was adequate dance room around both. The actual wedding was magical and amazing. The staff at Imagine That! accommodated our every need. They ensured that the vendors all got set up properly and that the event ran well including the serving of the hors d'oeuvres right as the guests were arriving, the serving of dinner right after the bride and groom were announced and the seating of desert shortly after the cutting of the cake. They knew that I was the contact for the planning but they rarely needed to contact me through the night which allowed me to enjoy my brother's wedding without concern, which made the night that much better for me. Conveniently located minutes from Los Angeles International Airport (LAX), the DoubleTree by Hilton Hotel LAX – El Segundo is situated in El Segundo's premier business district. Our welcoming staff will greet you with a warm DoubleTree chocolate chip cookie. Local businesses, including Mattel, Boeing and Oracle, are only a short distance from our hotel. Relax in comfort in one of 216 non-smoking guest rooms equipped with 55" TVs, a laptop safe, and access to complimentary WiFi. A free breakfast buffet is served daily at the East Grand Bar & Grilled. Guests receive complimentary access to the Outdoor Pool, 24-Hour Fitness Center, and 24/7 Airport Shuttle with roundtrip transportation to LAX. Consider holding an event or meeting in our 4,513 sq. ft. of flexible venue space which feature plenty of natural light, A/V and catering capabilities. Each meeting room is located on the first floor, making breakout sessions navigable for your attendees. The 1,720 sq. ft. Pacific Palisades room is divisible into four configurations to accommodate various setups and also offers a direct entrance from the parking lot.